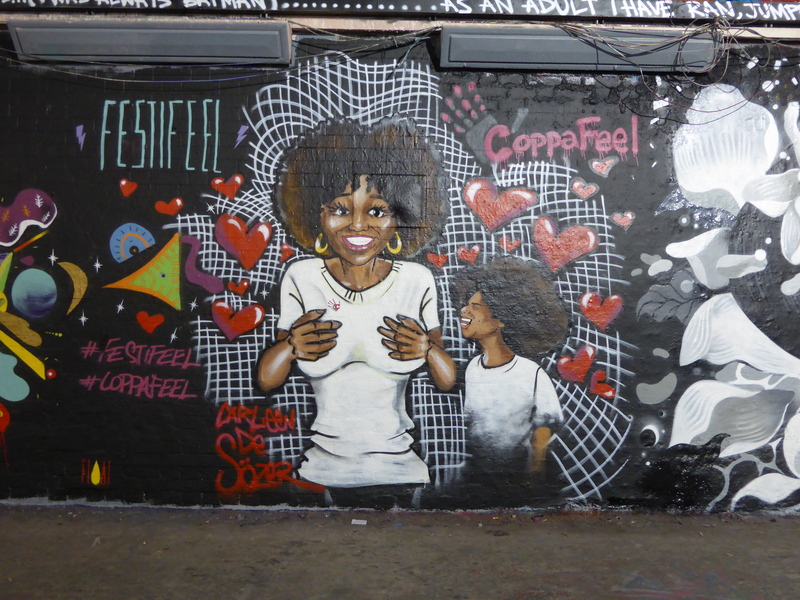 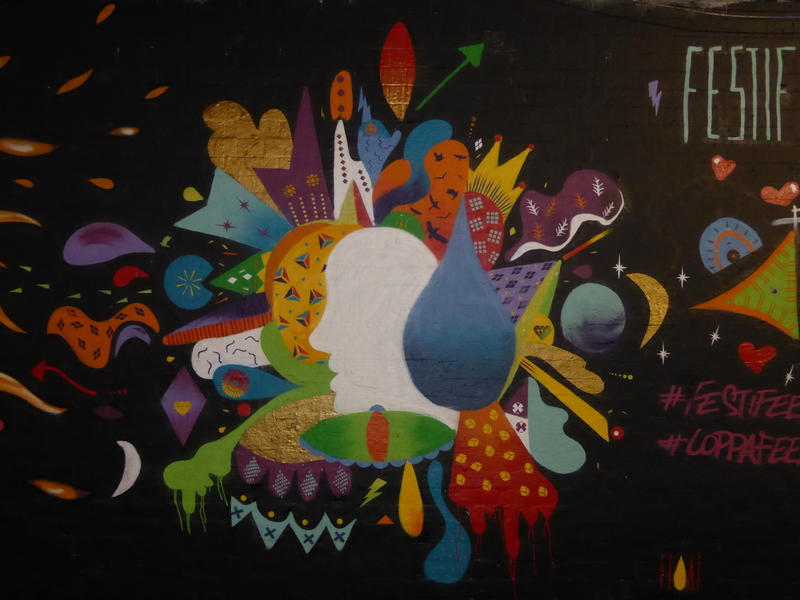 Yesterday in Leake Street, a mini-paint jam took place with six artists painting five works as part of the Festifeel event held in conjunction with the charity Coppafeel whom help promote awareness of symptoms of Breast Cancer and fortify all moves that encourage early detection. 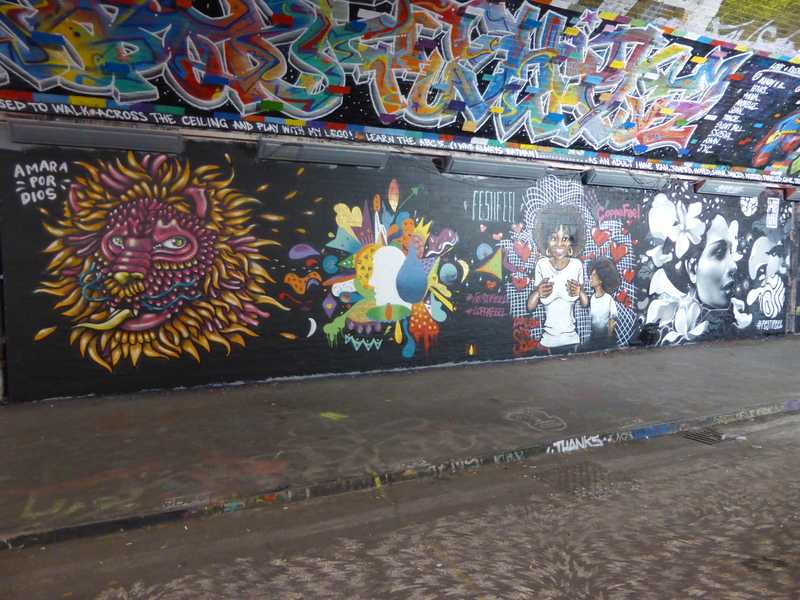 We were unaware of the live painting taking place, however we headed over first thing this morning and were lucky enough to find all five works had survived the night, so we can now share them with you now. 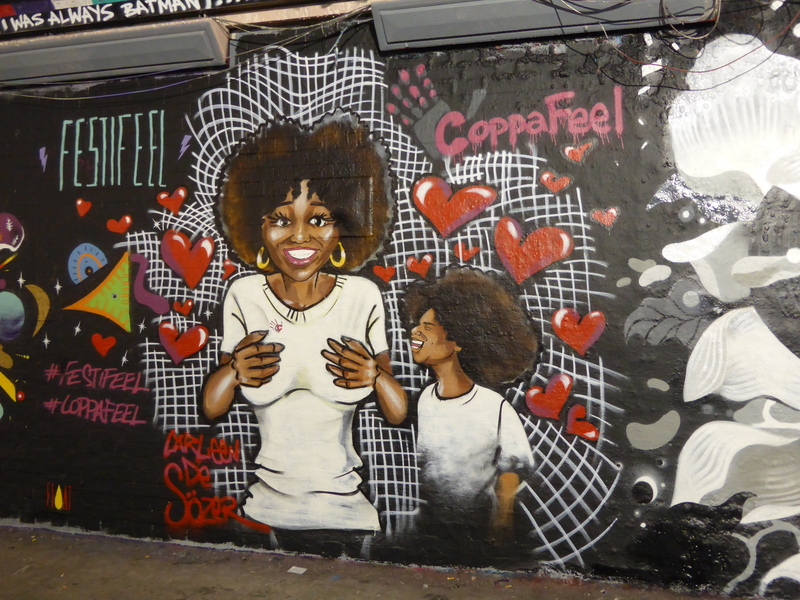 It’s always a pleasure to see such high-calibre artworks intact in Leake Street, but all the more so when they are promoting such a worthy cause. 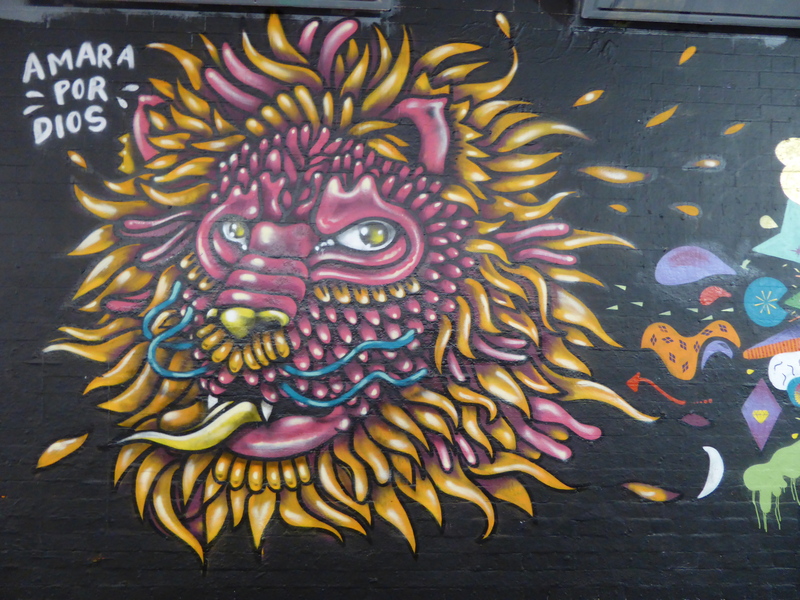 Great work by Amara Por Dios, with a superb dragon character, something she has been experimenting with more of late and something we are enjoying seeing very much, a character that really suits her tribal enthused style. 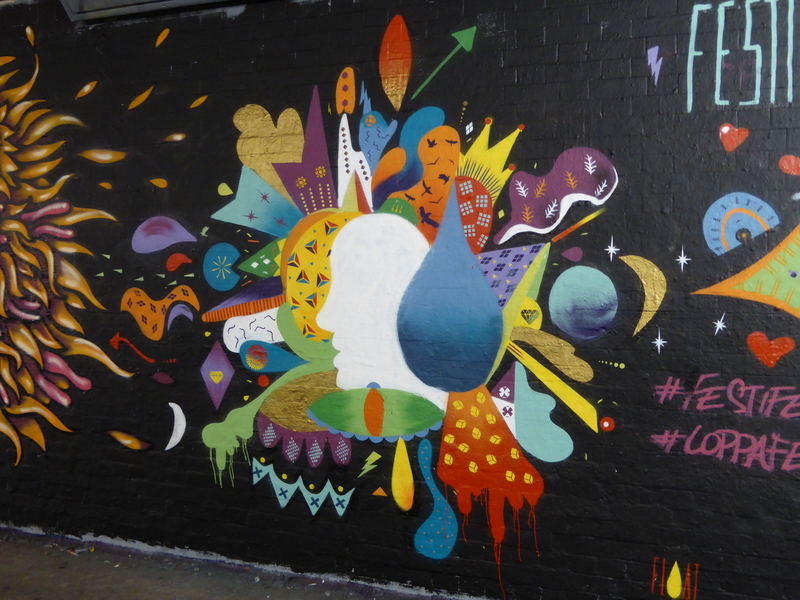 Work by Amara Por Dios & Float. 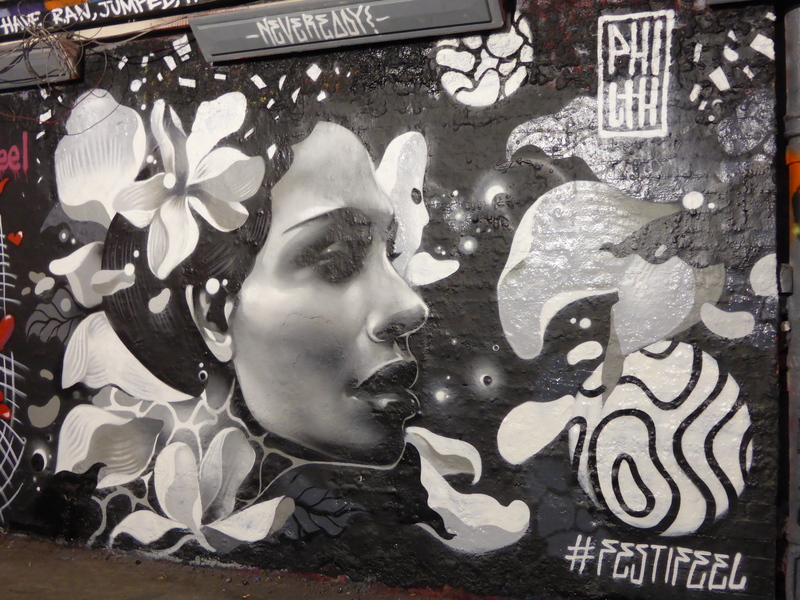 Superb work from Float who really upped her game for the event with this fantastic piece, definitely the best work to date we have seen from this artist for us here at London Calling Blog. 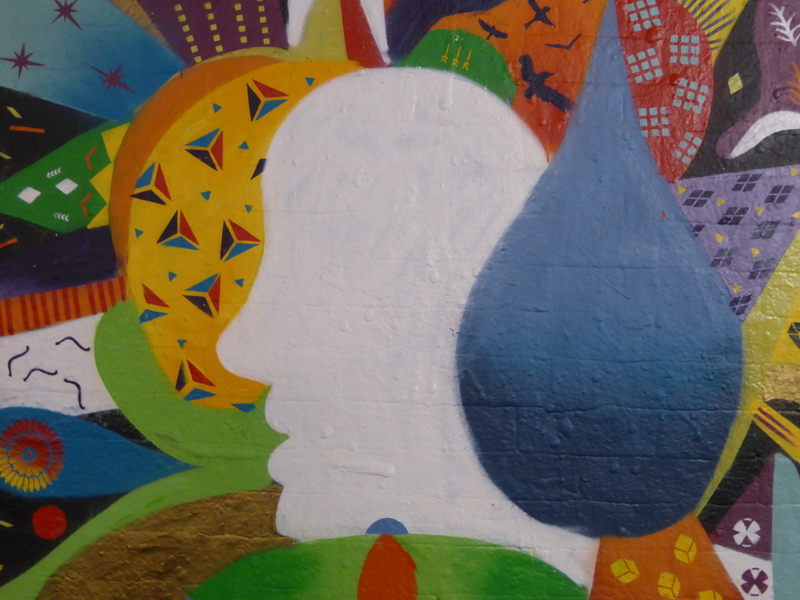 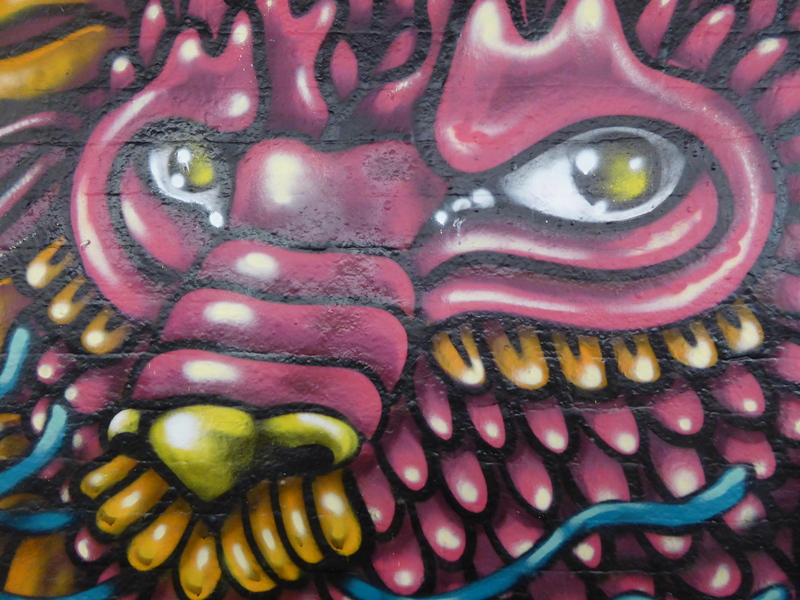 Detail of Work by Float. 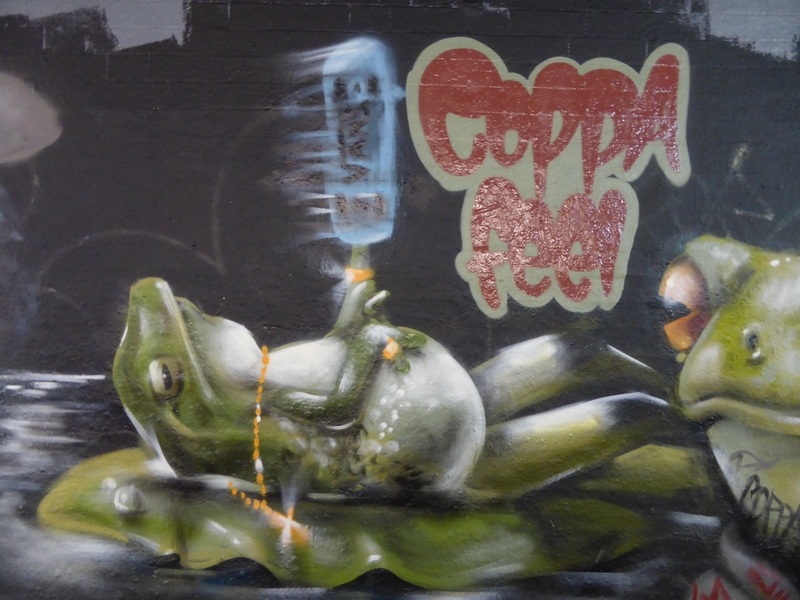 Work by Carleen De Sozer, with an apt piece that very much promotes the ethos of the charity Coppafeel, in a warm and thoughtful manner, suggesting to be sure to make the appropriate checks for the little ones in your life. 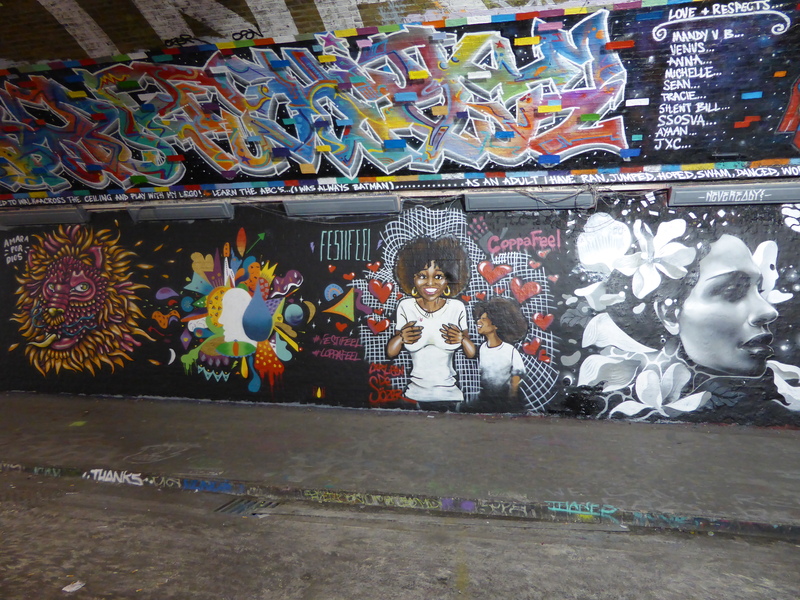 Beautiful work by Philth Blake, an artist whose work we very much admire and only hope to see more of in London. 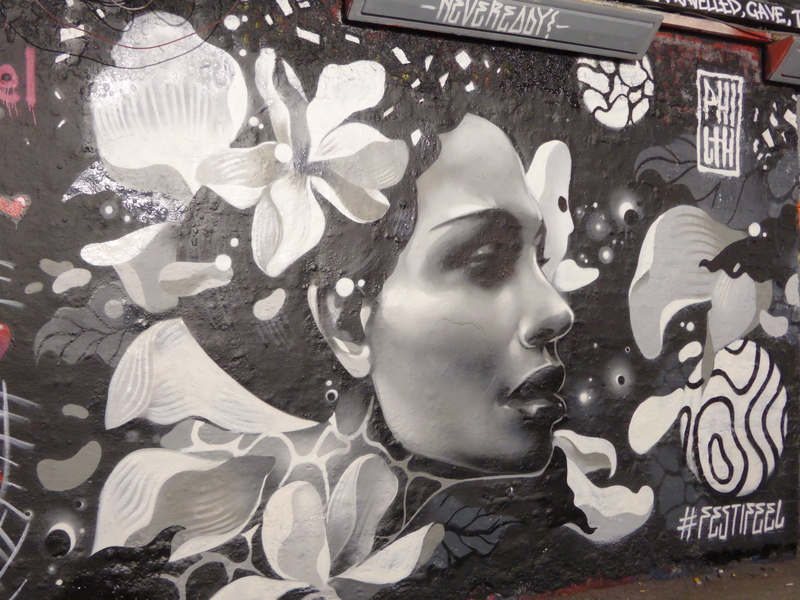 This piece really is stunning in his trademark grey-scale colour palette, an exceptional treat to spy in the legal Graffiti tunnel. 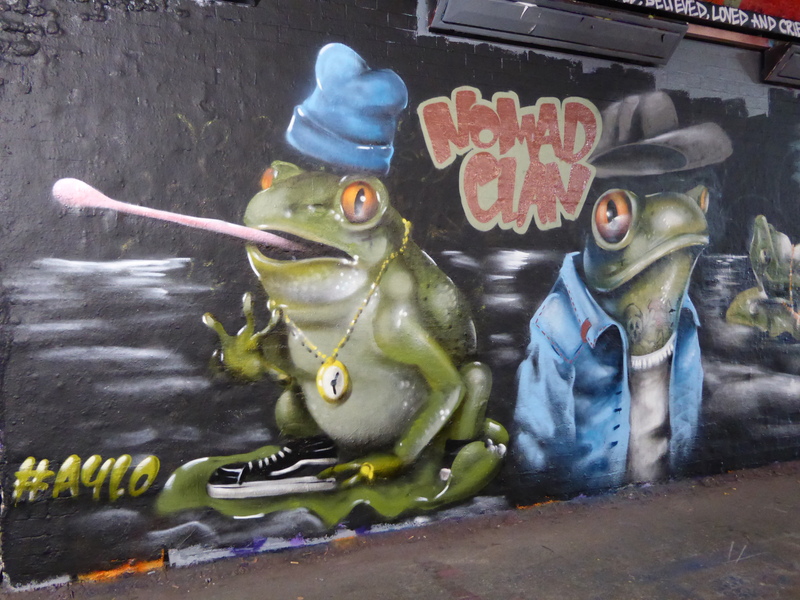 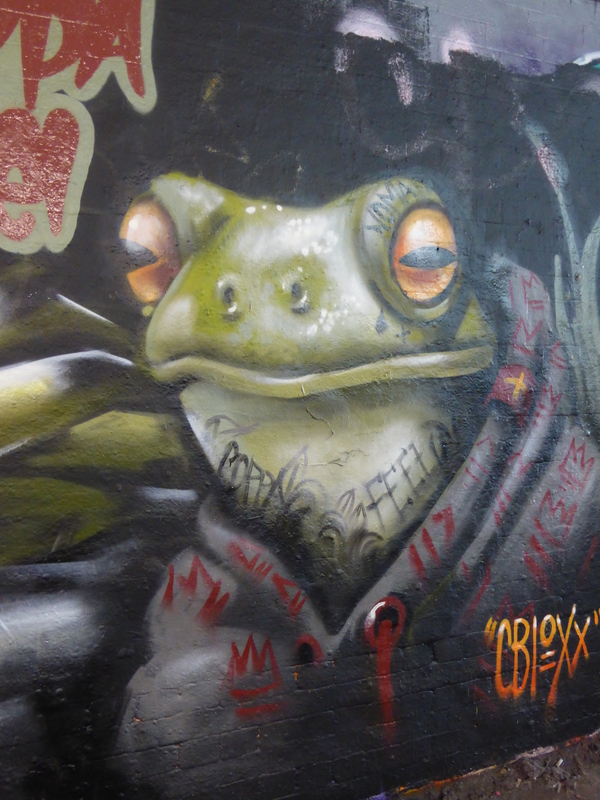 Delightful work from Nomad Clan duo, Aylo & CBloxx, two of our very favourite artists here at London Calling Blog, and again a duo we are always pleased to find painting London way. 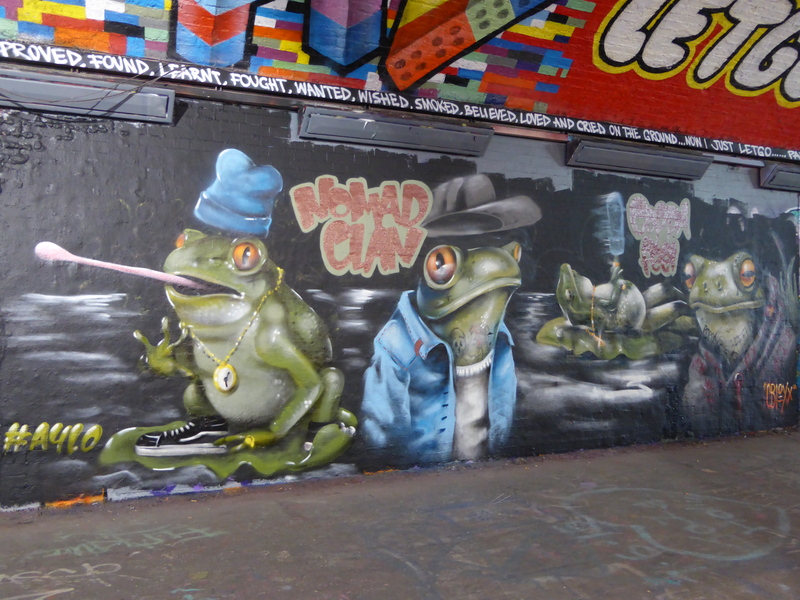 This work is very much fundamental Nomad Clan, with their surreal creations, on this occasion featuring several personified hip-hop frog characters. 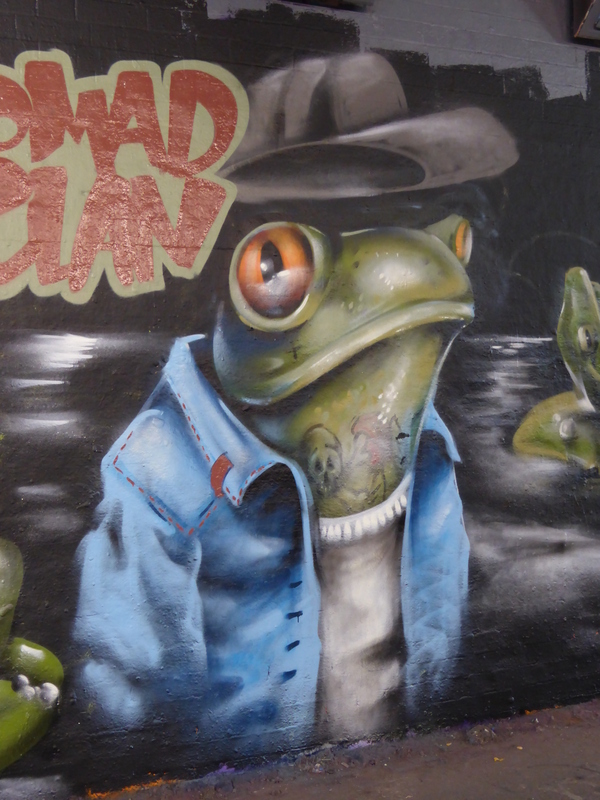 Love the tattoo details added to the frogs in this piece. 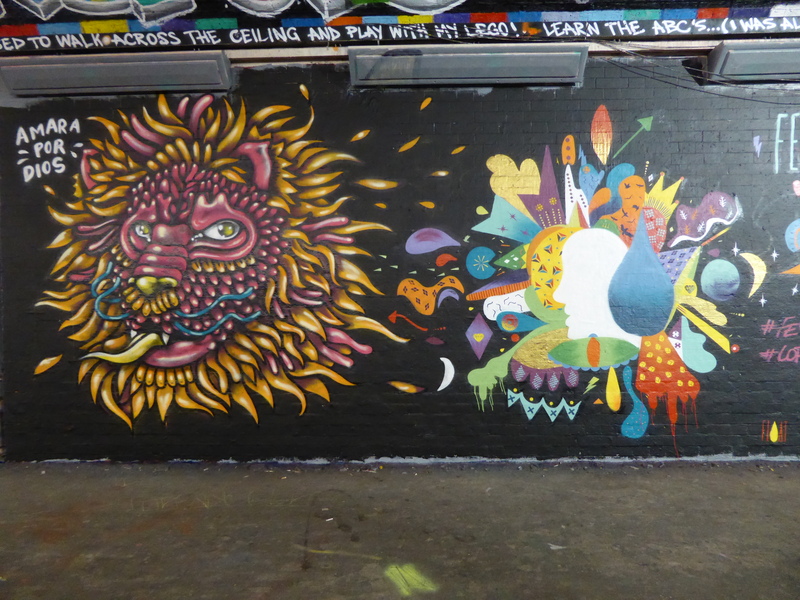 A great contribution for sure, but to be honest we expect little else from this pair. 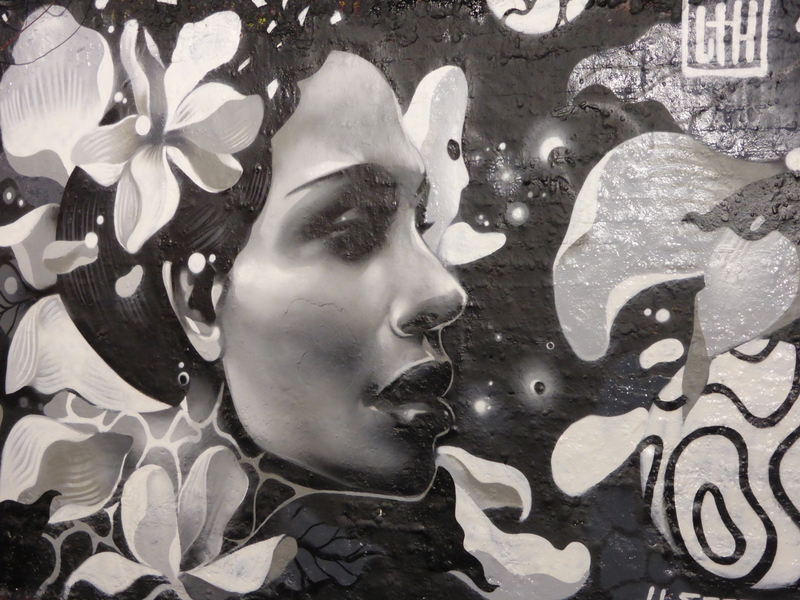 Works by Amara Por Dios, Float, Carleen De Soozer & Philth. 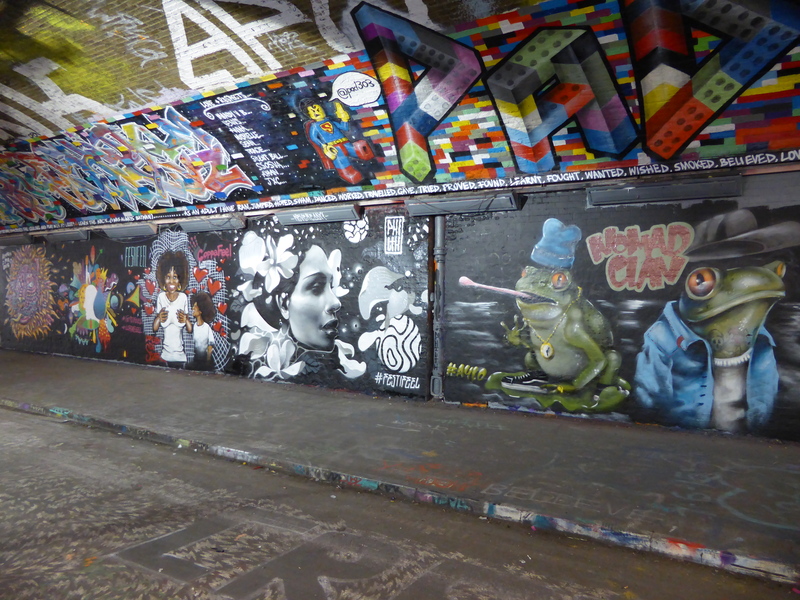 Agreed Cr0streetart, the artists did a great job for a great reason.